E-Cigarette Manual Vaporesso VECO One. Learn how to use your Vaporesso VECO One and how to fill it with CBD E-Liquid. To get the most out of your electric cigarette, please carefully read this manual. 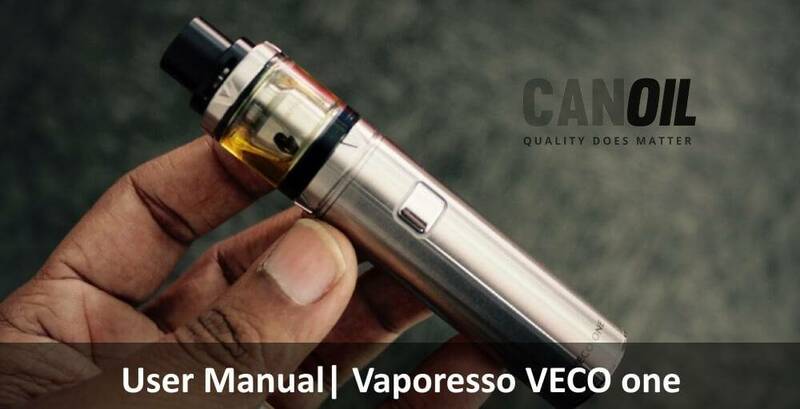 Manual E-Cigarette Vaporesso VECO One. Learn how to work with the Vaporesso VECO One and how to fill it with CBD E-Liquid. To get the most out of your electric cigarette, please read this manual carefully. Have you just ordered an e-cigarette Vaporesso VECO One and you don't know how to fill it? We would like to help you how to use this e-cigarette. Read on for more information how to use this e-cigarette Vaporesso VECO One. When you start using the Vaporesso VECO one for the first time, you have to insert a so-called "Coil" in the e-cigarette. The package includes 2 coils. These are packed separately and are located in the top of the packaging. What is a so-called "Coil? A coil can best be explained as "the sponge". This allows the e-liquid to be absorbed. When you turn on the e-cigarette, it will cause the evaporation of the e-liquid. 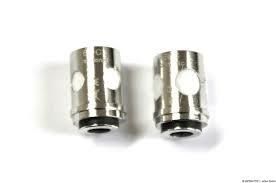 If you want to install or replace the coil unit, remove the tank from the atomizer base (the lower black circle). After you did this you can unscrew the coil unit and replace it with a new coil unit. Afterwards you can put the e-cigarette as a whole back together again. Warning: If you are using a new coil unit, let the e-liquid rest for fifteen minutes in the tank filled with e-liquid. This way, the coil unit can absorb the e-liquid well and prevents a burning taste. Put Vaporesso VECO One into operation. The Vaporesso is equipped with a safety system to ensure the battery is not accidentally discharged into, for example, your pocket or handbag. To turn on your e-cigarette, press the battery button five times in quick succession. To turn off the Veco One, you need to press the battery button five times in quick succession. Put the mouthpiece on your lips, press the battery button and inhale. Once you have finished inhaling, release the battery button to release it immediately. By pressing the fire button and breathing in at the same time, you can inhale. Immediately release the on/off button after inhaling. An electric cigarette is a device that is full of small electronics. As with other electrical devices, it is important to use the e-cigarette with care in order to avoid defects and damage. Please read the enclosed package leaflet carefully to avoid any surprises. Do you have any further questions or remarks? Our customer service is available for you on working days from 8:30 a.m. to 17:00 p.m.